The Secretary of the Senate is an officer of the Senate and serves as the Senate's administrator and parliamentarian. The Secretary is elected by the 30 members of the Senate to a two-year term. 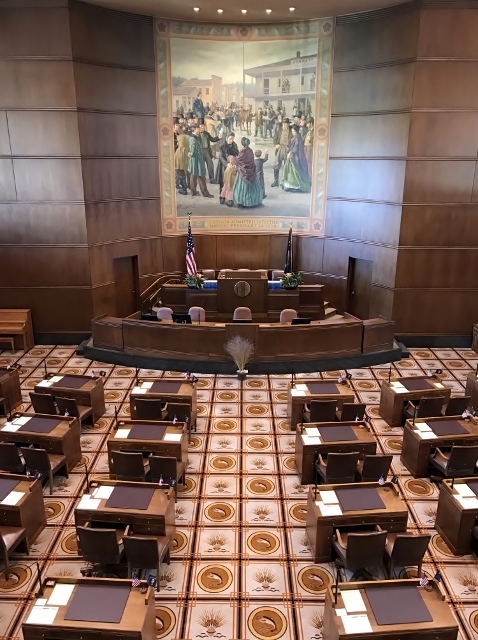 The 80th Oregon Legislative Assembly organized on January 14, 2019. 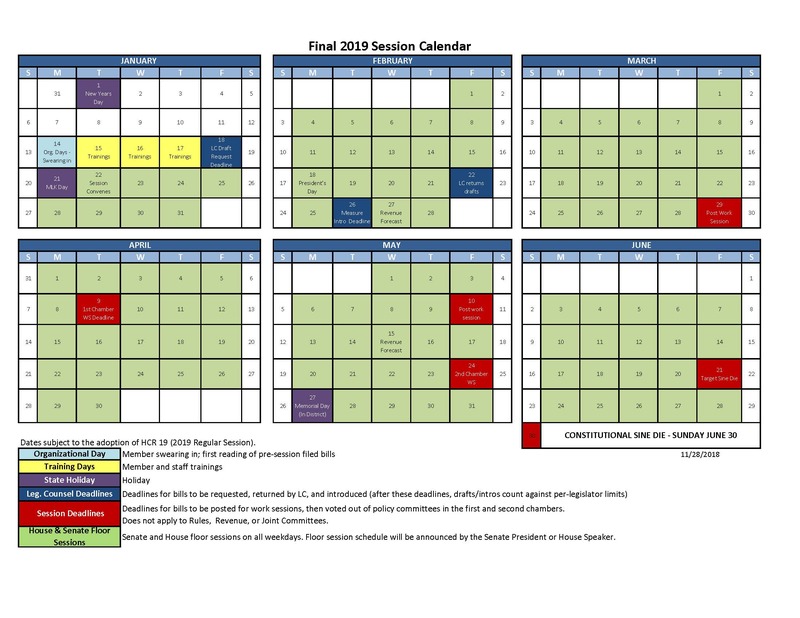 Calendar for 2019 session dates and deadlines. Rule of proceeding for 2019 Legislative Session was specified in House Concurrent Resolution 19, which was adopted on January 14. The Senate is governed by rules adopted by the members of the Senate. On January 14, 2019, the Rules of the Senate for the 80th Legislative Assembly were adopted. The current Rules are available by clicking here. Likewise, each Senate committee is governed by rules adopted by members of the committee. Certain rules of protocol and decorum guide the Senate's business during session. Please see the Senate's Guide to Protocol and Decorum. ​​The Senate welcomes Honorary Pages from throughout Oregon to assist the Senate during session. The Senate's Honorary Page Program is available to those 12-years-old and over and operates during the long legislative session in odd-numbered years. Click here to download the application for the 2019 Senate Honorary Page Program. Applicants will be contacted in January to confirm their participation date. Contact the Office of the Secretary of the Senate for more information on the Senate Honorary Page Program. ​There are many words and terms unique to the legislative process. To learn more, please visit the Legislative Glossary. In addition, for those learning about the legislative process in Oregon, please see our short video explaining the basics. Note: Title of "Chief Clerk of the Senate" was changed to "Secretary of the Senate" in 1963. 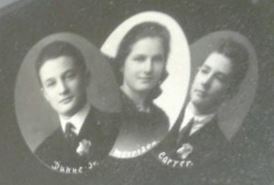 † Died in office, February 18, 1937. 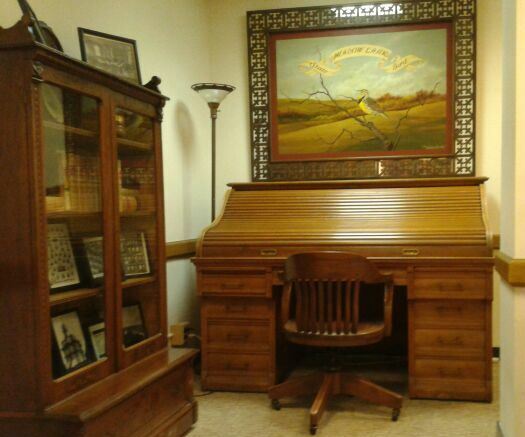 ​Link to the organization dedicated to preserving and enhancing the Oregon State Capitol. ​National Conference of State Legislatures ​Link to the organization of state lawmakers and staff. ​American Society of Legislative Clerks and Secretaries ​Link to the organization of state legislative parliamentarians. 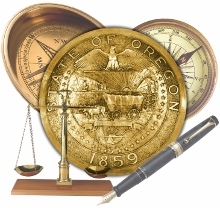 Oregon has a citizen legislature, and for over 150 years citizens from throughout Oregon have served in the State Senate. 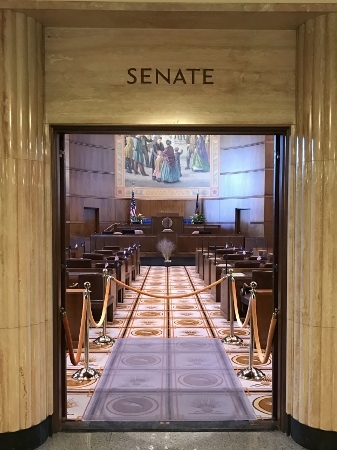 Please join us as we share the history of the Oregon State Senate, the Legislature, and the State Capitol. This photo depicts the main entrance to the Senate Chamber. The double doors outside the Senate are closed 15 minutes prior to convening and opened 15 minutes after adjournment. The doors remain closed while the Senate is in session. 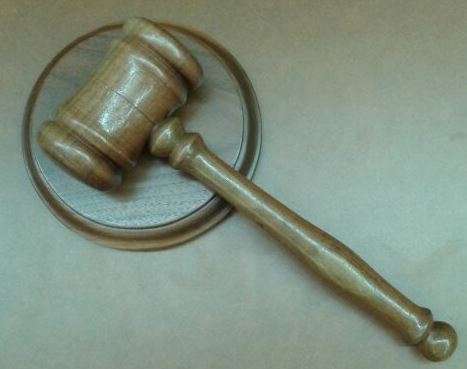 An exception is upon Sine Die adjournment, when the Senate and House typically open their chamber doors so the President and Speaker can drop the final gavel simultaneously. The record of Senate action on the Governor's executive appointments and reappointments to boards, commissions and other positions requiring Senate confirmation. Whom do I contact in the Secretary's Office? ​Streamlined access to current and past legislative sessions. Under Senate Rule 14.15, Senators may participate in officially sanctioned fact-finding missions to learn about important issues. Please see the Fact-Finding Mission Application & Approval Form.